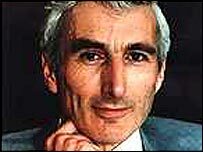 BBC NEWS | In Depth | Newsmakers | Sir Martin Rees: Prophet of doom? The human race has only a 50/50 chance of surviving another century, says Sir Martin Rees, the Astronomer Royal, in his latest book - a work as thoughtful as the man who wrote it. The Book of Revelation presents its own, hair-raising, account of the end of the world: "And, lo, there was a great earthquake; and the sun became black as sackcloth of hair, and the moon became as blood; And the stars of heaven fell unto the earth." Today, no less a figure than Sir Martin Rees, the Royal Society Research Professor at Cambridge University, presents his own vision of the Apocalypse. In an eloquent and tightly argued book, Our Final Century, Sir Martin ponders the threats which face, or could face, humankind during the 21st Century. Among these, he includes natural events, such as super-eruptions and asteroid impacts, and man-made disasters like engineered viruses, nuclear terrorism and even a take-over by super-intelligent machines. His assessment is a sobering one: "I think the odds are no better than 50/50 that our present civilisation will survive to the end of the present century." Beyond this, Sir Martin discusses the sort of action which could be taken to improve the human race's chances of survival. He asks whether scientists should withhold findings which could potentially be used for destructive purposes, or if there should be a moratorium, voluntary or otherwise, on certain types of scientific research, most notably genetics and biotechnology. And, in a wider context, Sir Martin examines the extent to which individuals might trade their own privacy in order to allow the state to combat new, insidious, forms of global terrorism: a sort of democratised form of Big Brother. Sir Martin's concern about the ever-quickening pace of technological change and the sinister ends to which it may be used has its own historical echoes. In his "finest hour" speech of June 1940, delivered when the UK faced a seemingly imminent Nazi invasion, Winston Churchill spoke chillingly about the threat of the world sinking into "the abyss of a new Dark Age, made more sinister, and perhaps more protracted, by the lights of perverted science". And concerned scientists, from Albert Einstein and Bertrand Russell to Bill Joy, inventor of the Java computer language, have brought the dark side of untrammelled scientific progress to public attention. But it is Sir Martin's eminent position as a leading cosmologist, studying the Universe, its birth and ultimate fate, which makes his new pronouncements both important and thought-provoking. Born in June 1942, the son of two teachers, Sir Martin grew up in Shropshire. An inquisitive child, he studied mathematics at Cambridge before moving into astrophysics in the late 1960s. It was a heady time for cosmology. 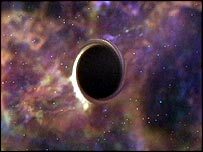 "The evidence for the big bang had just been discovered, the first evidence of black holes was being discovered," he said recently. "And when a subject is opening up in that way, as a young person you can really make a mark quickly because everybody is just beginning a new subject." Success in both the UK and the US brought Sir Martin to the cutting edge of cosmological research. Today, with numerous awards and honorary doctorates, he concentrates less on teaching and more on writing and broadcasting, especially on his pet subjects, which include the study of black hole formation, gravitational waves and gamma rays. Knighted in 1992, he became Astronomer Royal three years later. This position, which sees him follow in the footsteps of Sir Edmund Halley - after whom the comet was named - and the serpentine Rev Nevil Maskelyne - sometime nemesis of John Harrison, builder of the world's first accurate sea chronometer - is purely honorary. Do not get the impression that Sir Martin spends his time looking through a telescope; he does not. His role is to interpret the findings of astronomers, to make sense of the bigger picture. Sir Martin's views on our future are certainly disquieting, but are not necessarily cause for alarm. 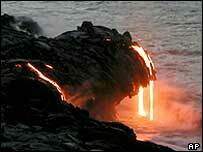 As he says, it is up to the human race, which has its own unique positive abilities to ensure its own survival. And there is certainly much to be said of his contention that our actions today may "make the difference between a near eternity filled with ever more complex and subtle forms of life and one filled with nothing but base matter".